To assess long-term prognosis after low-dose 64-slice coronary computed tomography angiography (CCTA) using prospective electrocardiogram-triggering. We included 434 consecutive patients with suspected or known coronary artery disease referred for low-dose CCTA. Patients were classified as normal, with non-obstructive or obstructive lesions, or previously revascularized. Coronary artery calcium score (CACS) was assessed in 223 patients. Follow-up was obtained regarding major adverse cardiac events (MACE): cardiac death, myocardial infarction and elective revascularization. We performed Kaplan-Meier analysis and Cox regressions. 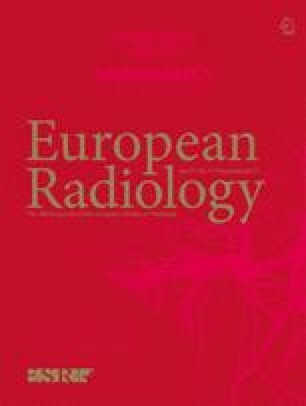 Mean effective radiation dose was 1.7 ± 0.6 mSv. At baseline, 38% of patients had normal arteries, 21% non-obstructive lesions, 32% obstructive stenosis and 8% were revascularized. Twenty-nine patients (7%) were lost to follow-up. After a median follow-up of 6.1 ± 0.6 years, MACE occurred in 0% of patients with normal arteries, 6% with non-obstructive lesions, 30% with obstructive stenosis and 39% of those revascularized. MACE occurrence increased with increasing CACS (P < 0.001), but 4% of patients with CACS = 0 experienced MACE. Multivariate Cox regression identified obstructive stenosis, lesion burden in CCTA and CACS as independent MACE predictors (P ≤ 0.001). Low-dose CCTA with prospective electrocardiogram-triggering has an excellent long-term prognostic performance with a warranty period >6 years for patients with normal coronary arteries. • Coronary CT angiography (CCTA) has an excellent long-term prognostic performance. • CCTA can accurately stratify cardiac risk according to coronary lesion severity. • A normal CCTA predicts freedom from cardiac events for >6 years. • Patients with a coronary calcium score of 0 may experience cardiac events. • CCTA allows for reclassification of cardiac risk compared with ESC SCORE. Olivier F. Clerc and Basil P. Kaufmann share first authorship. The University Hospital of Zurich holds an institutional research agreement with GE Healthcare. However, this work has received no funding. The scientific guarantor of this publication is Ronny R. Buechel. The study population was shared with a previous report on short-term outcome after CCTA (Buechel et al., Heart 2011; 97(17):1385-90).